The measurements at the top of the page are to suit the door sizes, the frames external size is larger as shown in the below chart. This particular product has the following specification. 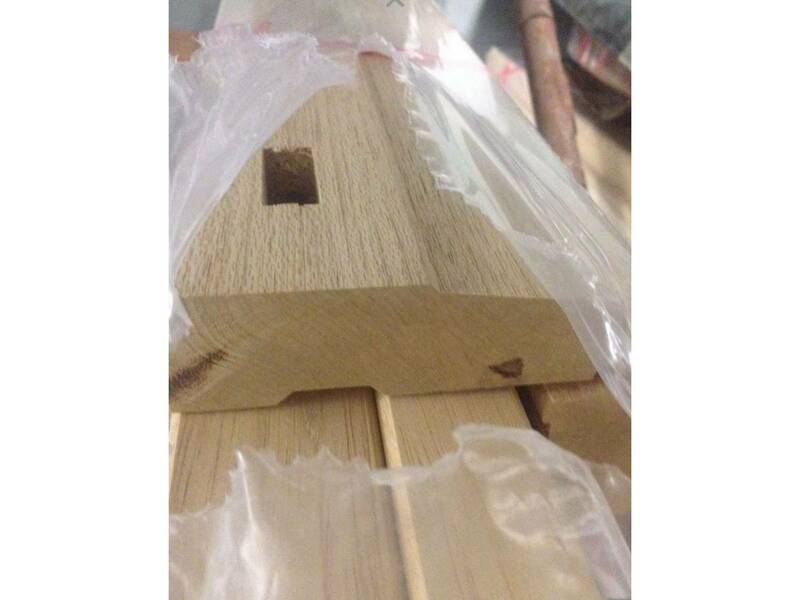 Light colour hardwood, which is a cheaper alternative to solid Oak. Grooved to accept draught seal in the legs and head. The seal we know will suit is Aquamac 21 which we have purchasable in our shop. 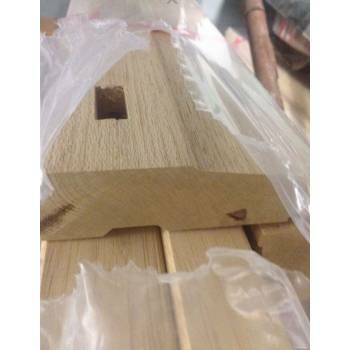 We have stormguards sills and draught seals listed in our shop, to complement these frames. Allows doors to be opened inward or outwards. If opening out, it would be a good idea to use a drip to deflect rain. 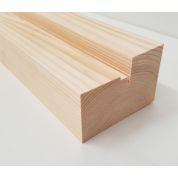 If you have a stone step or concrete floor all the way through, you will not need the sill that comes with this item. You can still use the timber sill if you wish but it will make access more difficult. A metal stormguard sill is a big improvement on a timber sill as it is a lot smaller and complies to the current accessibility regulations. The only disadvantage with a stormguard sill is that they are not suitable to sit on brickwork whereas the timber sill is.